Now that so many people have local, seasonal food on the brain, the next logical step is canning. But even though our tastebuds are in tune with the seasons and we&apos;re on a first-name basis with our local farmers, there&apos;s still a fear that surrounds canning, perceived as difficult and even dangerous if you don&apos;t know which steps to follow. Like in all cooking, it&apos;s important to can correctly to keep yourself and your family safe from food-borne illness, but canning doesn&apos;t have to be the marathon event that some people fear! Sarah Page, Culinary Marketing Manager at Jarden Home Brands, was kind enough to sit down with Organic Authority and give us some answers to all of our burning questions -- and debunk some canning myths as well. If you have a question or concern about home canning, look no further! Processors, tongs, funnels, racks, lifters... if you read an online canning guide, it can seem like an enormous investment. But you don&apos;t need to go out and spend tons of money on new canning equipment! Pioneer canners didn&apos;t buy a whole lot of specialized equipment, and neither should you. Sarah recommends that first-time canners purchase Jarden&apos;s Home Canning Discovery Kit. "It costs about $10 and has everything you need to start canning including three Ball Pint Jars, a recipe guide and an integrated canning rack and jar lifter. 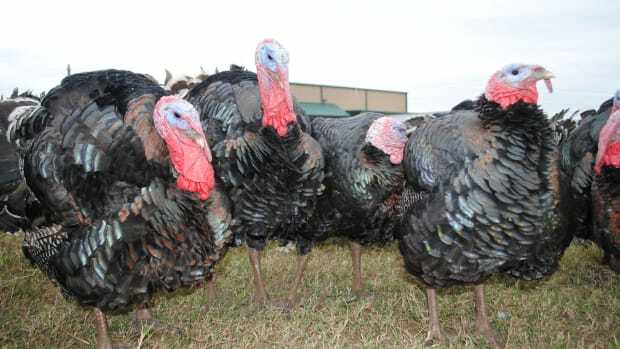 All you need is a stockpot!" 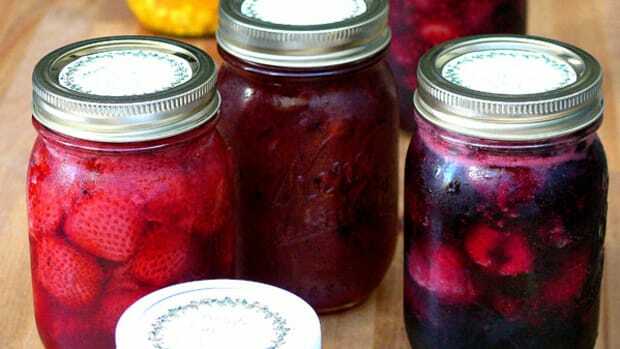 Many folks tend to believe that home canning involves endless steps. Sarah says it isn&apos;t so! 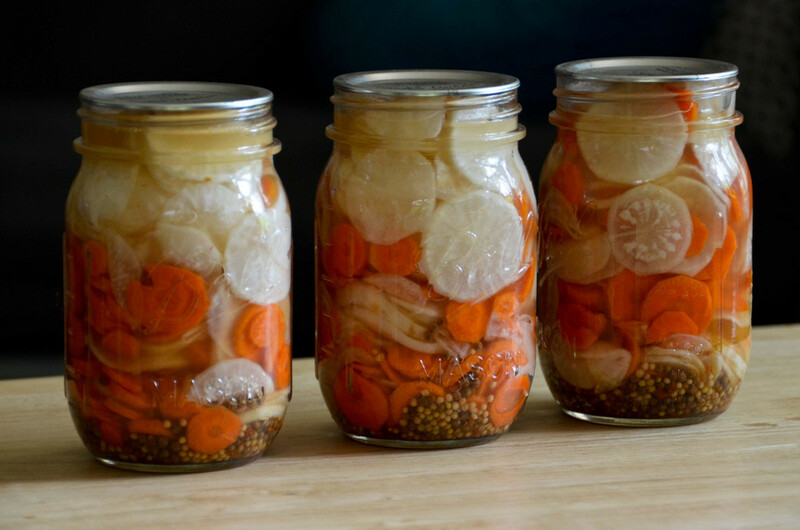 "There is no need to sterilize your jars, lids or bands," she says. "Sterilization happens during the water bath canning process. 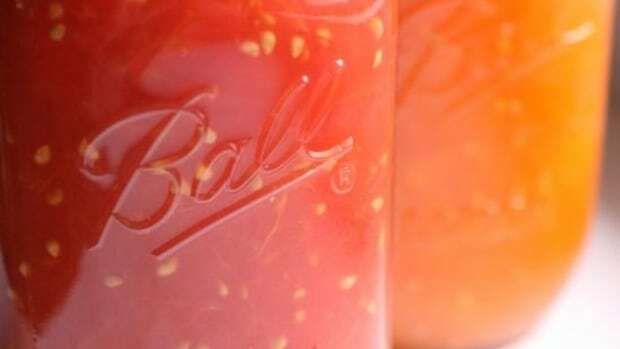 Simply wash in warm, soapy water and keep your jars warm until ready for preserving." That&apos;s good news, because losing the sterilization step means that many canning recipes can be ready in under an hour -- including processing time! 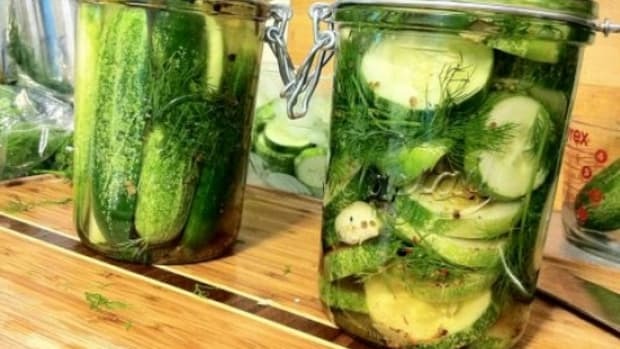 Of course, there are other things to bear in mind when it comes to home canning safety with regards to the possible presence of bacteria, including acidity, altitude and more. While you can do without sterilizing, be sure to follow indications according to your geography, and above all, ensure that your recipe is appropriate for safe canning... which brings us to our third myth. Once you&apos;ve learned the basics, it can be tempting to extend them to all foods. That isn&apos;t to say it isn&apos;t simple to can any food you like. But just as you wouldn&apos;t braise a filet mignon or try to serve a pan-fried oxtail. By the same token, high-acid and low-acid foods require different techniques in canning. "The processes for preserving high-acid and low-acid foods are actually quite different," Sarah says. 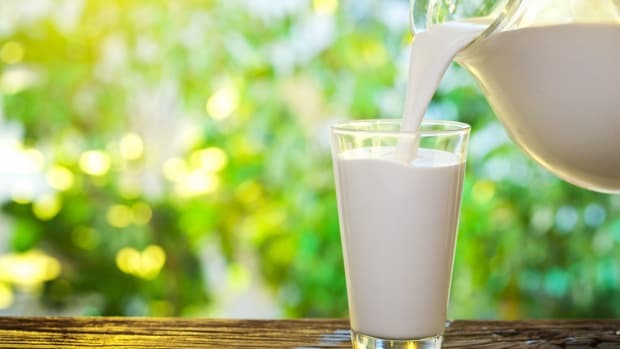 "High-acid foods include fruits, fruit juices, jams, jellies and other fruit spreads, salsas, tomatoes with added acid, pickles, relishes, chutneys, sauces, vinegars and condiments. 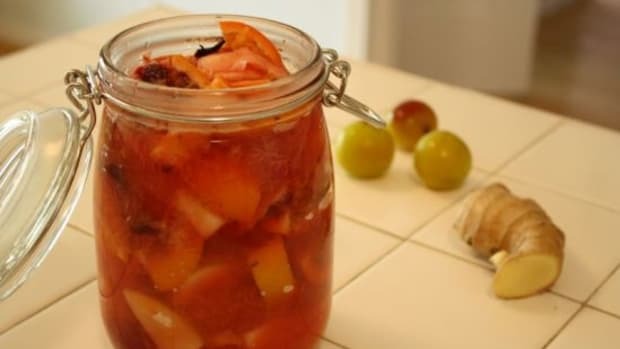 These recipes can preserved using the water bath canning method which involves preparing your approved recipe, ladling the hot food into warm jars, and processing in a boiling water bath for a set amount of time. "Low-acid foods include vegetables, soups, stews, stocks, meats, poultry and seafood. 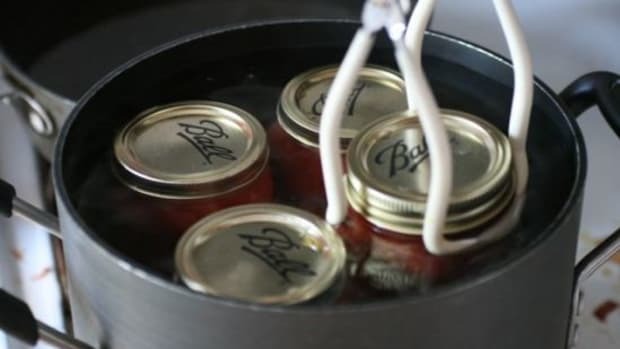 These foods must be preserved using a pressure canner, along with a tested preserving recipe. The pressure is required to bring water to a higher temperature, which is needed for successfully processing foods with low acid levels." While both methods are easy, try the high-acid method first, which is quite a bit simpler and has fewer risks. 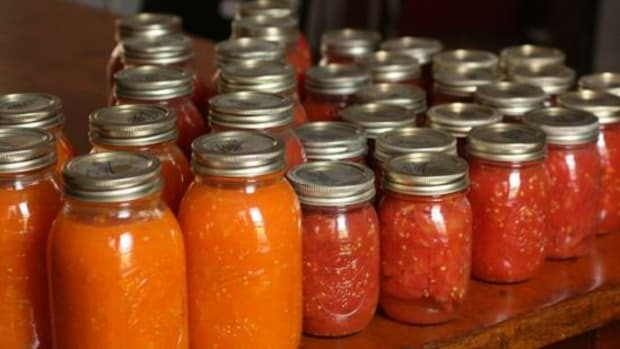 And when in doubt about anything at all, from your grandma&apos;s favorite canning recipe to a question about one of Jarden&apos;s tips, the USDA approved canning methods are always an excellent resource as you begin your foray into the world of home canning.